An inside look into the making of Japanese lacquerware (urushi), which are often made from wood and hand-painted with an intricate decoration. 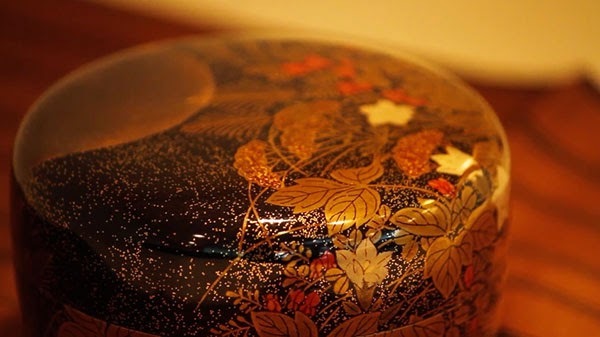 The main technique for decorating lacquerware involves sprinkling finely ground gold powder over a design drawn in lacquer while it is still wet. This is called makie, which literally means “sprinkling gold.” To finish a piece, a core maker and lacquer artist usually collaborate.